Indonesia is a popular destination in Asia. But there are many things you should consider before coming to Indonesia. To be honest, you should never travel to Indonesia. Why? Let’s find out the why you should never travel to Indonesia! 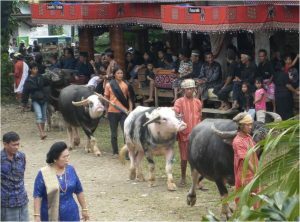 The Toraja tribe, one of the tribes inhabiting South Sulawesi, has a unique funeral tradition. The tradition, which is called Rambu Solo, is still practiced with obedient by Torajan people. They believe that without the funeral ceremony, the soul of the deceased will bring misfortune to his/her family. Unless you have guts, you better go to another event. Dozens of buffalo and pigs will be sacrificed in the funeral ceremony. The executioner will slash the buffalo’s neck using a machete in one swing. Then pieces of buffalo meat will be distributed to the guests. Raja Ampat, which is located in West Papua, is probably the best dive spot in the world. The research shows that Raja Ampat has 75% of the coral reefs of the world. 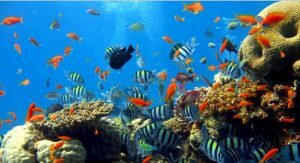 In addition Raja Ampat is home to more than 1000 species of coral fish and 700 species of mollusks. The warm waters make diving in Raja Ampat a fun experience. But there is one catch. The unspoiled and well-preserved waters of Raja Ampat means Raja Ampat is far from the bustle of life If you can not live without high speed internet access, you should not come to Raja Ampat. Borobudur Temple, which is listed in UNESCO’s World Cultural Heritage, is the largest Buddhist temple in the world. The temple was built in 824 AD and was found buried underground by Sir Thomas Stamford Raffles in 1814. 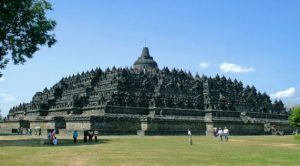 Borobudur temple is made of andesite stone blocks that lock each other, without the use of cement at all. Just like Lego blocks that can stick without glue. It means that the Borobudur Temple is made by accumulating large stone blocks according to sophisticated design. Do not bother yourself to guess how those large stones were transported. Yogyakarta Palace is the foremost fortress in preserving Javanese culture. The palace, which has been established since 1755, becomes the showroom of the beauty of Javanese culture and traditions. 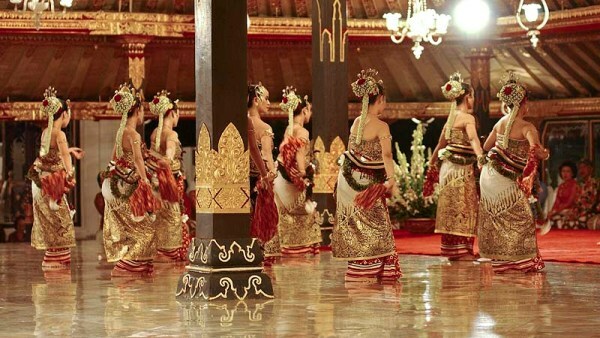 Every day the Yogyakarta Palace organizes traditional dance performances, puppet show, and gamelan music performances. In certain months Yogyakarta Palace holds a festive ceremony which is a tradition from generation to generation such as Grebeg Syawal to welcome Eid Al-Fitr and Grebeg Besar to welcome Eid Al-Adha. If you like your dull and boring life, do not waste your time to visit Yogyakarta Palace. Or you can get out of your comfort zone and learn things to do in Yogyakarta Palace. 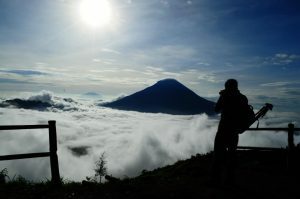 Dieng, located in Central Java, is famous for the nickname “the Land above the Clouds”. Surrounded by mountains, Dieng has a breathtaking natural beauty. In addition, typical mountain cool air is an oasis for tropical countries. Sometimes the temperature in the morning can be very low that it forms frost. Unarguably Dieng has the best spot to see golden sunrise. Being in the middle of the clouds, staring at the sun at the horizon and standing with giddy feet, can you get a better experience than that? 6. Can you live without a vehicle? Gili Trawangan is a small island in West Nusa Tenggara that has an amazing beauty. 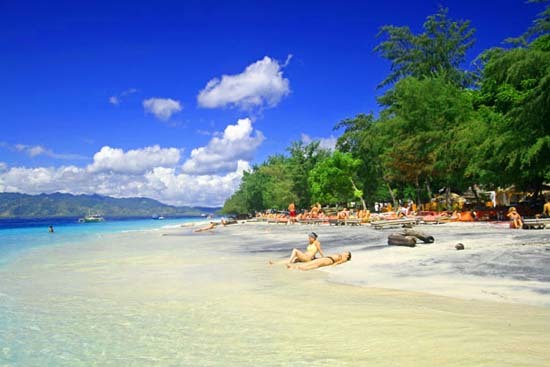 Its beach has fine white sand and decorated with turquoise sea and calm waves. 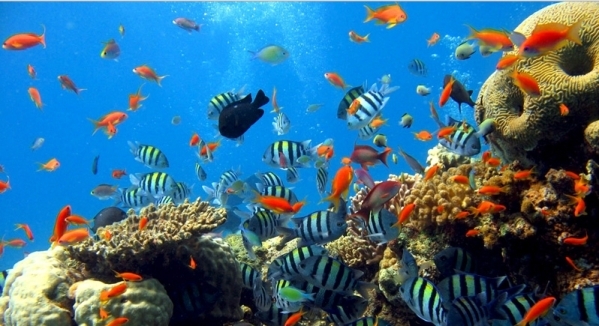 Its underwater also has a stunning beauty with colorful coral reefs and cute fish. Every night Gili Trawangan’s cafés and bars hold live music to entertain visitors. Sunbathe, party and sleep is the motto in Gili Trawangan. But you need to know that there is no vehicle here. Can you live with that? 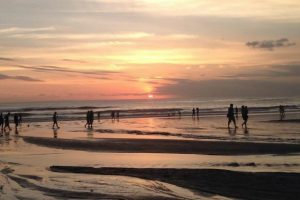 If you are ok with that, there are lots of things to do in Gili Trawangan. 7. Are you not tired of staring at the same sun? 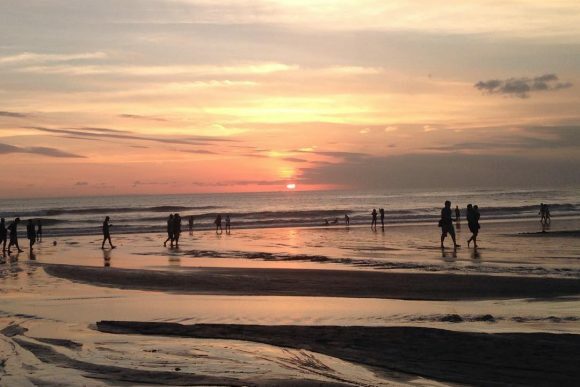 Bali’s Petitenget Beach has a clean and wide expanse of sand. The waves are calm and the sea breeze blows lightly. Petitenget Beach faces directly to the west so it becomes the perfect spot to see the sunset. Walking on the beach while enjoying the sunset will calm the mind and soul. The sound of ripple waves will make you fall asleep. It’s really an experience that makes you feel at peace. Unless you are bored with our only sun. More arguments why you should never travel to Indonesia! 8. Does the hill planted with crops become beautiful? Bali’s Ubud has an amazing rural setting. The rice terraces offer stunning scenery that mesmerizes visitors. 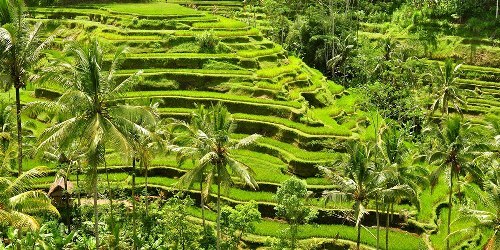 Actually the rice fields are made with terraces system to avoid erosion. Walking down the rice fields can make you feel the atmosphere of the rice fields. Seeing directly farmers working in the rice fields is fun. But if you cannot see the beauty of rice terraces, the world owes nothing to you. And you will miss lots of things to do in Ubud. why you should never travel to Indonesia? Krui, which is located in Lampung, is a great place to surf. Krui’s beaches have beautiful white sands and face directly to the Indian Ocean. In the good months, April-August, wave height can reach 6 meters. Krui has a calm atmosphere, not crowded like Bali. Those who come to Krui intend to conquer the waves of the Indian Ocean. So if you are not a savvy surfer, do not come to Krui. Surely you can only imagine plenty things to do in Krui. Tomohon market located in North Sulawesi sells unique items that are not found anywhere else. 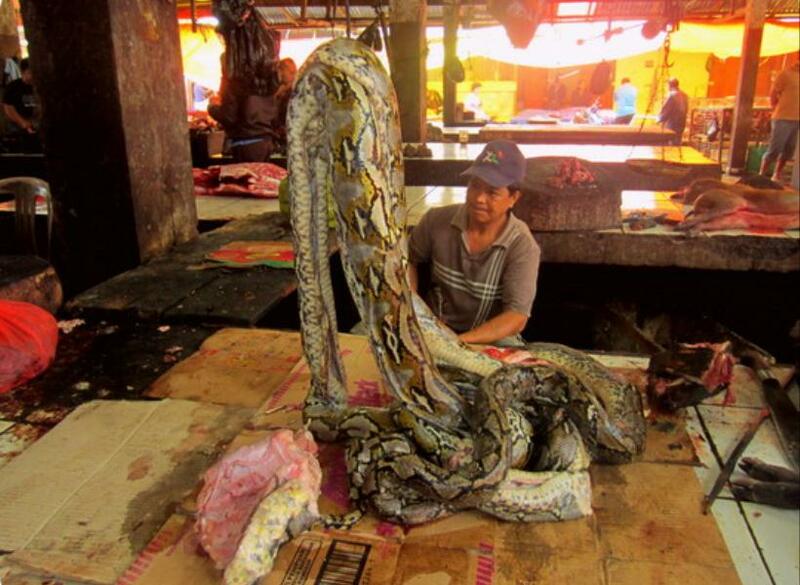 You can find a variety of unusual animal flesh such as dogs, cats, bats, rice field rats and snakes. For the people of Tomohon, eating those animals is part of their culinary tradition. The meat is cooked at home for daily food. This is one of the cultural richness in Indonesia. So think twice before coming to Tomohon. The point is you should never travel to Indonesia because its beauty of nature and amazing culture will fascinate you. You will feel at home and have many beautiful memories in this wonderful country. Let’s visit Indonesia ..!